Fondo Carrate is the name of one of the farms of the Elsa Estate. 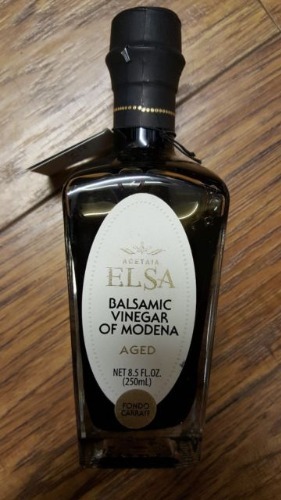 This balsamic is obtained through the traditional method of slowly fermenting cooked grape must from the Emilia-Romagna region of Italy. The vinegar is then aging and refinement is derived from the process of aging in small casks of selected woods. A well balanced condiment with a taste of sweet and sour. Aromatic with a rich velvety brown color. Use in salads, dipping or with grilled meats or vegetables.